﻿ FunkyTown Jeffreys Bay. JIMAT di Agoda.com! Ketika melawat Jeffreys Bay, anda akan merasa seperti di rumah di FunkyTown, yang menawarkan penginapan berkualiti dan perkhidmatan hebat. Hotel ini terletak 2 Km dari pusat bandar dan menyediakan akses kepada kemudahan bandar yang penting. Tidak kurang hebat adalah akses mudah hotel untuk ke pelbagai daya tarikan dan mercu tanda bandar, seperti The Bookshop, Jeffrey's Bay Shell Museum (Charlotte Kritzinger Shell Museum), Pihak Berkuasa Tempatan Rizab Noorsekloof. Di FunkyTown, perkhidmatan yang cemerlang dan kemudahan yang unggul menjadikan penginapan anda tidak dapat dilupakan. Ketika menginap di hartanah yang indah ini, para tetamu boleh menikmati Wi-Fi percuma semua bilik, fasiliti tetamu kurang upaya, Wi-Fi di tempat awam, tempat letak kereta, pengangkutan lapangan terbang. Alami bilik dengan kemudahan berkualiti tinggi sepanjang anda menginap di sini. Sebahagian bilik menyediakan internet wayarles, internet wayarles (percuma), bilik larangan merokok, meja, bar mini untuk memudahkan tetamu berehat dan kembali bertenaga. Hotel ini menawarkan pelbagai kemudahan rekreasi yang sangat baik, termasuk tab panas, kolam renang terbuka, taman. 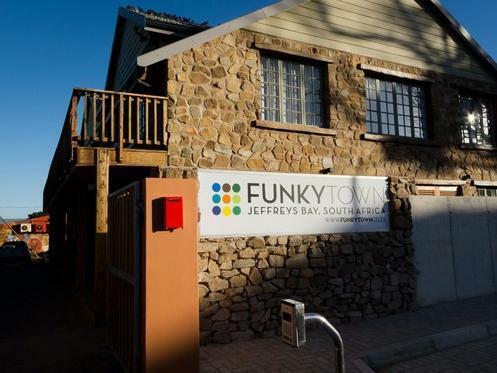 FunkyTown merupakan tempat yang ideal bagi penginapan pelancong yang mencari keindahan, keselesaan dan kemudahan di Jeffreys Bay. Daftar masuk tidak dibenarkan selepas 8:00 PM. Tetamu yang tiba selepas waktu ini diminta untuk menghubungi pihak penginapan sebelum ketibaan supaya aturan lain boleh dibuat. Very nice, modern & stylish guest house. Very Secure and close to city center within walking distance. The manager was very nice and gave us the suite for our honeymoon. Tania the host is sooo friendly and helpful... nice bed, clean place and really funky colour downstair 😁 unfortunately we only booked for 1 night and there is no room available for the next day... 😔 nice area yo stay.. walking distance to beach n shops n meals. 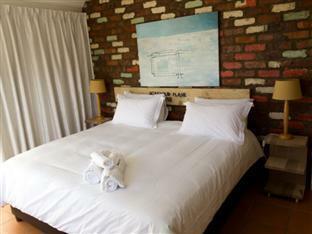 If you have to go to Jefferys bay this is a good option for a stay.We just had a room. The bed was comfy , the room clean and more than adequate for a night stop over. The hostel was very nice and clean. 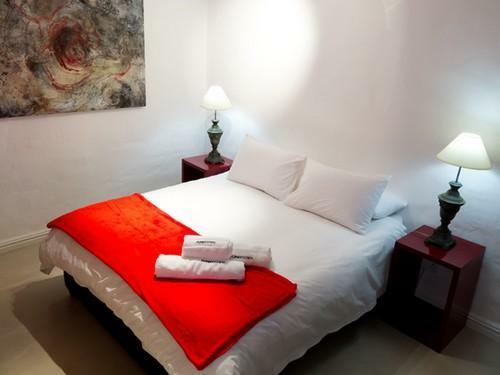 The rooms are compare to other hostels really luxury. We had a warm welcome and enjoyed the modern and clean kitchen and the big barbecue area. 100% recommendable. We loved everything about this place. Nice comfortable room and interesting decorations. We used the kitchen facilities which were very nice. At night some noise travelled from the hallway to the room, unfortunately some noisy children in the room next door woke us up early. The accommodation was fine really and we enjoyed the food and atmosphere at the local Greek restaurant. Funkytown is a clean oasis in a dirty place. The beach was especially disappointing as it was covered in litter (bottles, plastic bags etc). The place needs to develop a culture of cleanliness and smarten its act if it is to compete with alternatives on the Garden Route. Everything was perfect, so far one of the best places where we have stayed in South Africa. Not too far from the beach, jacuzzi and Jacuzzi!! We spent almost 1 week at Funky, and had a great time in there. The place is very well designed and gives you the possibility to be on your own or spent it social. The kitchen is modern equipped, and outside you find the nice bbq place near the jacuzzi and swimmingpool. (For the healthy, creative people; Juicer and blender available:)! Whole the area is very well maintained and incredible clean. Next to the accommodation our stay would not be complete with the very helpfull kind gastlady Tayrene. We felt very welkom. Tip's nearby: rent a bike at funky and do grocery 5 min biking, drink special craft beers at the Sunflower and have your breakfast with seaview at Tasty Table. 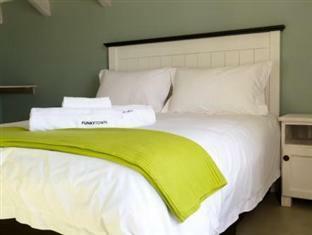 We would recommend to hire a care if you want to go arround in Jbay. Great stay, the front desk lady is very friendly. Thumbs up for the double shower! I can only recommend this place, we enjoyed it a lot! We were 2 couples staying at Funky Town. We were all in agreement that from the moment we arrived till we left, we really felt so welcome and at home. It was the first time we stayed in a selfcatering hotel. 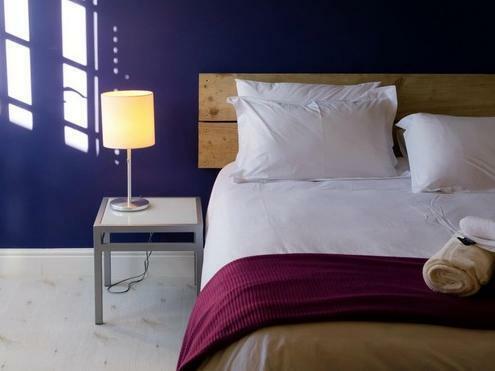 The rooms were beautifully furnished and decorated (funky style- in keeping with the name) with an en suite bathroom and a mini bar and the communal kitchen and dining area were so well equipped with the latest utensils that it felt like we were home! The staff was also always on hand to offer their assistance.I would really come back to Funky Town whenever we're passing through Jeffries Bay again. Thank you to Tayrene and the staff for our wonderful stay at FunkyTown. Lovely hosts. Very warm and friendly. Would definitely stay again. The ladies who run the house were very nice, but had a friend over for a curry and although it smelt delicious it pervaded the whole of the ground floor for two hours....very indeed. Had to sleep with fan on full as quite a few mossies. Shame. Firstly, this is a nice easy hotel to find. Coming off the motorway, the main road takes you to the top of the street. It is so easy to get your bearings. The welcome is fantastic. I arrived at 10.30 in the morning, but I could still check-in, no problem. The staff are exceptionally friendly. They really do go out of their way to help, whatever the query. The rooms are very clean, though I would have preferred a/c to the fan. The only other minor point is that rooms don't have TV, so if you go on holiday just to watch TV, you are out of luck. There isn't a bar nor restaurant, but they are available within 100m of the guest house. The internet is more intermittent, but fine for emails and browsing. Would I stay again? Too right I would. don't be fooled by the terrible name, this place is a must if you're in the jeffrey's bay area! we were greeted with smiles and a wealth of information when we arrived. the rooms were all immaculate, the amenities were abundant, and the location was superb (right around the corner from one of our favorite eateries, in food!!). a (small) lounge pool, a hot tub, fire pit, bbq, full kitchen, sitting room, tv room, and laundry room are just a few of what this place has to offer. when we didn't want to socialize we escaped to our beautiful room upstairs. the only downside was we didn't have much of a breeze so it got pretty hot, however they gave us a nice, big stand up fan to help cool us down. this place is a must! We only stayed one night as we were just passing through, but this would be a great place to park up for longer. Very comfortable good big rooms, lots of great art & design details, with fire inside for winter & outside for summer. Our host was very friendly helpful with places to eat etc. And both of us are six foot tall so the kingsize bed was fantastic after weeks of wee double beds! Das Funkytwown ist ein schönes Hotel mit recht kleinen Zimmern, aber einem schönen und großen Aufenthaltsbereich und großer Küche. Die Nebenstraße auf dem Weg Richtung Strand ist aber leider nicht sehr vertrauenserweckend. Außerdem sollten die Klobrillen dringend erneuert werden.